We are always concerned about taking up our phone's battery, that my phone is not giving a good battery backup. But by removing some bugs, we can increase the backup of our phone's battery. 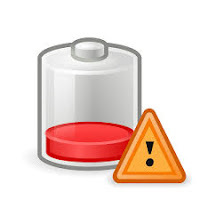 Today, there are 11 similar tips that will help you to increase your phone's battery backup. Press the Recent Apps button on the bottom of the screen. Swipe to the right the app you want to close. Press App Info, select Force Stop, and then press OK to confirm. Go to Settings, select Apps or Applications, and press the Running menu. Select the app you want to close, and then press Stop or Force Stop. If you’re somewhere with weak signal strength and don’t have many bars, your phone will expend more energy searching for a signal and performing tasks. Try to hold off on major data use in areas with weak coverage. During those periods, you can switch to airplane mode. ‌To switch to Airplane Mode, hold the power button down until a menu displays, and select Airplane Mode, which will disable all of your phone’s wireless connections. To enable just Wi-Fi and not a cell signal while in Airplane Mode, tap Menu, Settings, Wireless & Networks, and then check the Wi-Fi box. ‌3.See what's sucking the most juice. Navigate to Settings > Battery to see an organized breakdown of what's consuming your phone's battery. Applications and features will display in a descending list of battery hogs. If you see an application you barely use or a feature you never use, you'll want to uninstall the app or turn off the feature. ‌4. Turn down the brightness and turn off Automatic Brightness. It's probably obvious at this point, but you'll be surprised by how much this one alone helps to improve battery life. 5.If your phone has an AMOLED screen (like most Samsung devices), use a dark-colored background. Black wallpaper can increase battery life because AMOLED screens only illuminate the colored pixels. Black pixels are unlit, so the more black pixels you have, or the more darker pixels, the less power is needed to light them up. Stop your phone from always listening. Google Assistant is a fantastic and often very functional feature. The problem is that it can wreak havoc with your battery. Especially if you don't actually use it or only use it occasionally. Go into Google>Search from your Settings menu and tap Google Assistant>Settings heading. On the next page, select your device and toggle off Google Assistant for longer battery life. Keep your apps updated. There's a reason developers constantly update apps, and most of the time it's for memory or battery optimization. Keeping your apps updated also means you have the best optimizations available. Likewise, delete old apps you no longer use, because these may be running background processes that chew up RAM and battery life. To save battery life, not to mention mobile data, you can take advantage of 'Lite' versions of popular apps, or even Google's new suite of 'Go' lightweight apps. These are stripped down to their essential features and designed to be simpler and more economical than their full counterparts. Facebook and Messenger both have Lite apps available in the Play Store. Skype also has a Lite app in the Play Store, but it may be unstable as it is technically unreleased. Social networks such as Twitter and Instagram, also have Lite versions available to download. Unless you really need that added awareness, turn off vibration alerts for incoming calls. It actually takes more power to vibrate your phone than it does to ring it. Turn off haptic feedback too (that buzz you get from typing on the keyboard). Sure it feels cool, but it doesn't really add anything to your experience, and it's another battery drainer. Set sleep times or blocking mode to switch off Wi-Fi and mobile data when you don't need them. If your phone is basically off limits at work, set your device to not ring, vibrate or connect to the internet while you're at work. Many phones have a Do Not Disturb setting for just this purpose. Likewise, you can set your phone to airplane mode when you're asleep or use sleep or blocking modes to set up limits for what your phone does during certain times of the day, whether that's while you're asleep, at work or in a meeting. Cool apps such as IFTTT let you create rules that can help you save battery life too. Turn off GPS, Bluetooth, NFC, Wi-Fi and mobile data whenever you don't need them. Turning off location data, or changing your location settings to use Wi-Fi or 4G data rather than GPS works perfectly well. 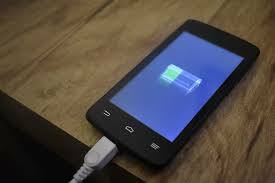 This will increase battery on your Android device. Only turn on Bluetooth and NFC as long as you need them (even though they consume very little power), and there's no need to have both Wi-Fi and mobile data turned on at all times, especially if you know exactly when you'll need one or the other. If you use Wi-Fi a lot though, say at home and at work, then it makes sense to keep set your Wi-Fi to 'Always on during sleep' as this uses less power than to have your Wi-Fi reconnecting every time you wake your phone. Most of these can be found in your Settings. Again, since your screen is the biggest enemy to your battery, keeping it off as much as possible is wise. Go to Settings > Display and change your Sleep length to be as short as is feasible. 15 seconds is a good amount.